So I borrowed my brother’s self contained ice cream unit. It is the Williams Sonoma model–you know, the one that’s been discontinued. That night I spent the evening churning recipes from David Lebovitz’s book, The Perfect Scoop. 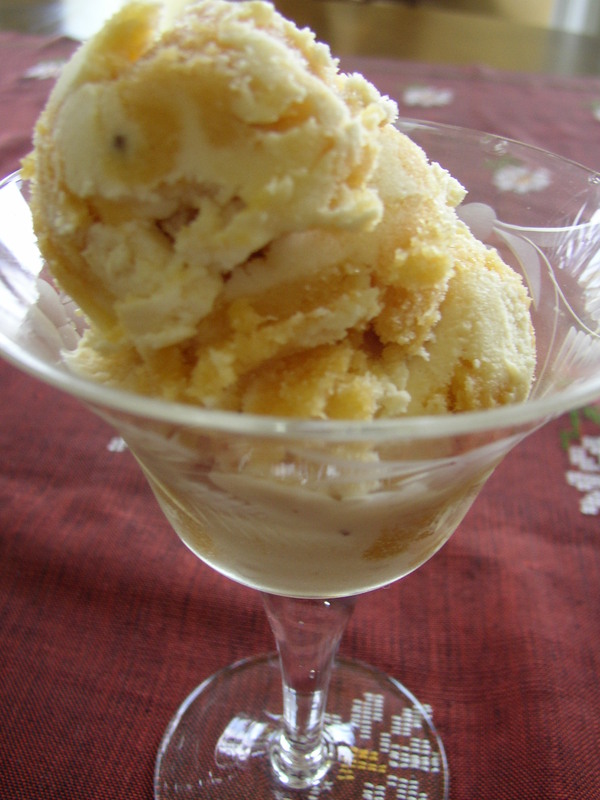 I knew from a prior posting that I wanted to turn my Ginger Peach Cheesecake into an ice cream, so upon buying the book I turned to page 62 and found a recipe for Cheesecake Ice Cream. 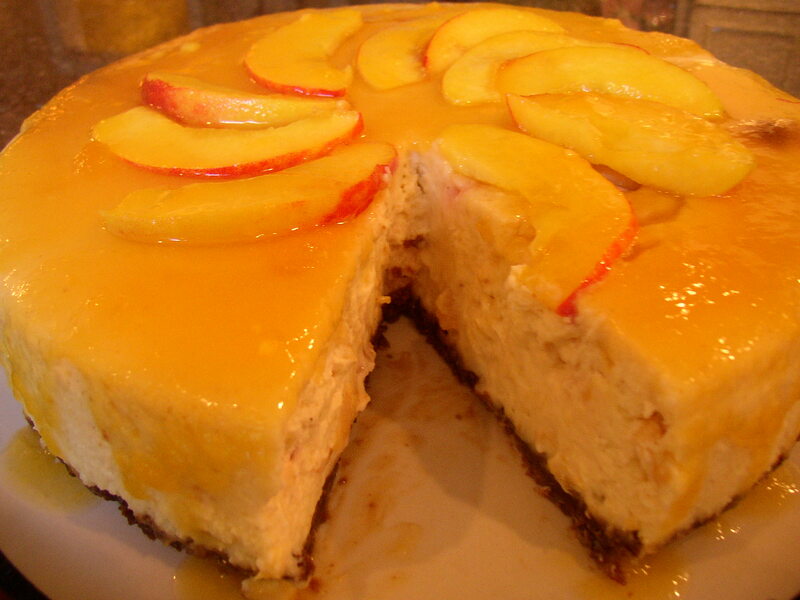 By adding 1 cup of peach puree and the gingersnap portion of the cheesecake crust which I baked and cooled, I had the MOST delicious frozen dessert which I am polishing off as we speak. The picture shows it layered with peach sorbet which is simple enough to make. The gingersnap pieces really send it over the top. Mix all of the ingredients except Amaretto and crust pieces in a blender until smooth. Chill for a few hours and then freeze according to your manufacturer’s directions for an ice cream machine. At the end of freezing, refer back to my peach cheesecake recipe and stir in the crust pieces, already crumbled as well as the Amaretto. Process for a minute or so to incorporate and then remove and place in a plastic tub. Freeze in your freezer until ripened and allow to soften for a few minutes before serving. 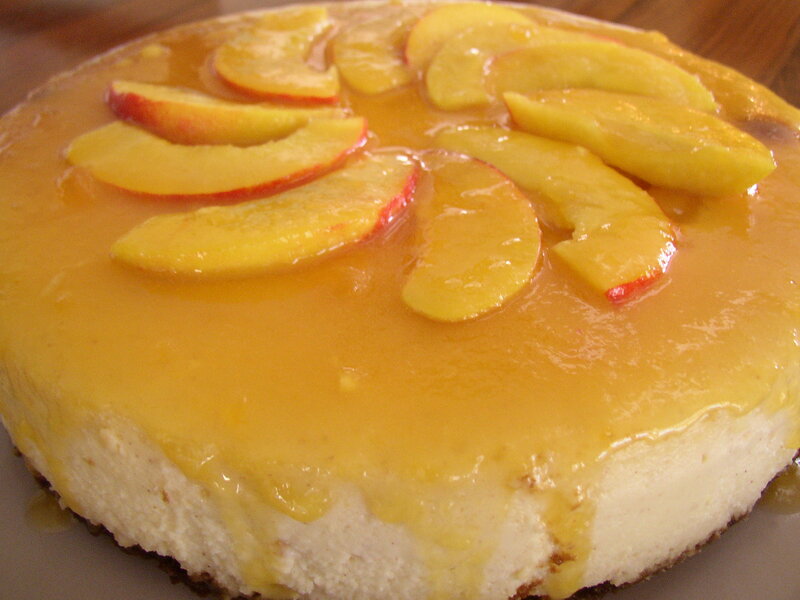 Remember my peach cheesecake, published last month as my recipe of the month? Well didn’t I say then that the cheesecake flavors would make a great ice cream? Well I was right. Right now, chilling in my fridge is a bowl of peach gingersnap cheesecake ice cream base. With credit to David Lebovitz and A Perfect Scoop of course which incidentally has the most unique and mouth watering recipes contained within it’s beautifully photographed exterior. I made the ice cream base and the cookie crust. I am heading to my brother’s this afternoon to pick up his self contained ice cream maker that chills and churns. Very excited. I am going to layer the ice cream with a peach sorbet as well and scoop it out tomorrow morning, if I can wait that long. I post the photo as soon as I have it! Enjoy! 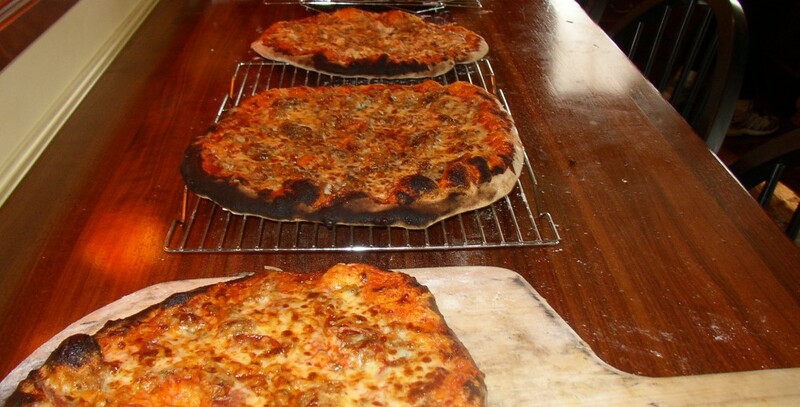 Check out www.phillyburbs.com on August 1st for the recipe! A slice removed revealing the spiced Gingersnap crust!